One look at World War 3 and you can tell it's an ambitious project. It's rife with the kind of explosion-heavy action we expect from the best-selling shooters. But World War 3 is coming from a relatively unknown studio out of Poland. The Farm 51, who is most recognizable for 2012's Painkiller: Hell & Damnation and last year's Get Even, just might be on the verge of launching its biggest mainstream success yet. World War 3 is built on a frighteningly simple and realistic premise: The world's strongest countries have engaged in global conflict. That's all the plot that's really necessary. Players side with nationalities of their choice. Cumulative successes edge their country closer to winning the war. Every match plays into the larger story of which side eventually emerges victorious. (It's currently unclear how long this will last, and if it'll be broken up into "seasons" which are reset so that everyone starts again with a clean slate.) Representatives of Farm 51 tell me that the game will launch with a certain set of nations, but more will be added over time through player-selected popular vote. 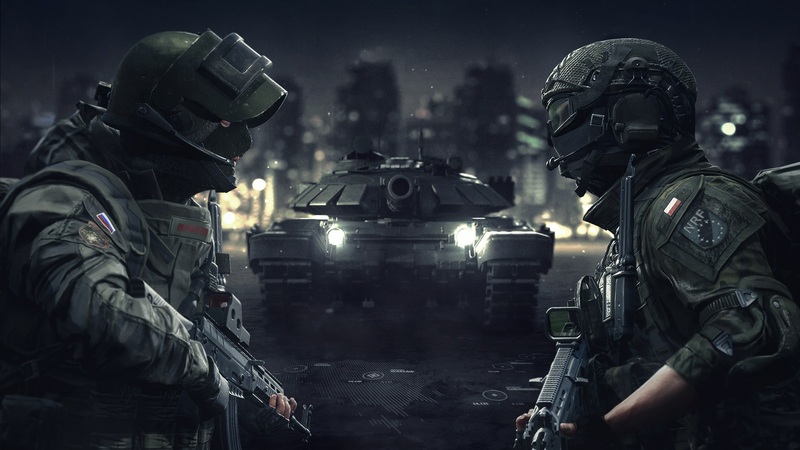 World War 3 is a multiplayer-only game that leans into two of the shooter genre's most emergent trends. The Warzone mode is constructed similarly to a Battlefield match -- 32 players (although it'll possibly get up to 64) competing in a large-scale and lengthy fight that employs vehicles, explosives, and firearms. It's a tried and true format, and feels like a staple of any big shooter.